The buffalo nickel is among the most popular coins of all time. Now metals investors can get that familiar and iconic design in a pure copper round. Copper is less expensive and fills a gap for many preparing against the day metals may be needed for barter and trade. Until recently, smaller units of pure copper clearly marked with weight and purity were not available. The original "Buffalo" nickel was designed by the artist James Earle Fraser. His efforts were part of a broader effort to update the nation's currency. The US Mint commissioned a number of artists to create new images for the coinage. Fraser's design for the nickel, inspired by his childhood in Minnesota, is perhaps the most beloved. The "Buffalo" nickel was in circulated in the United States from 1913 to 1938. The bison featured on the reverse side was modeled after "Black Diamond", a buffalo on display at New York's Central Park Zoo in the early 1900's. 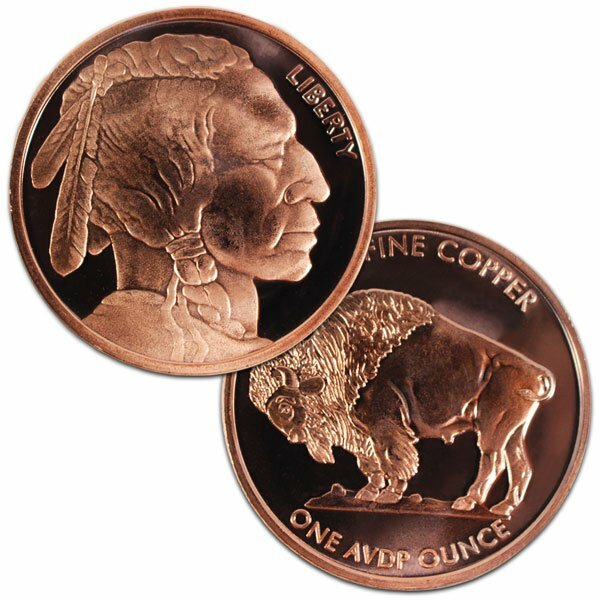 These pure copper rounds carry the bison standing upon a dirt mound, just as on the original coin. The text ".999 Fine Copper" is stamped above the bison and the weight - "One AVDP Ounce" - is shown below. 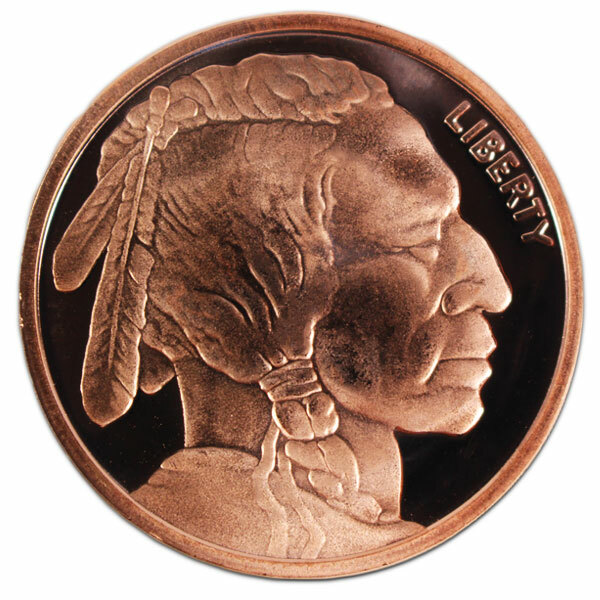 The reverse side of each round carries the familiar profile of a Native American Chieftain, along with the word "Liberty". The rounds ship from the mint tubes of 20 rounds. A full box contains 25 tubes - 500 ounces. The weight of the rounds is in standard (avoirdupois) ounces, rather than troy ounces. Rounds are made by the Osborne Mint - America's oldest private mint located in Cincinnati, OH. Compared to the more popular gold and silver options, copper doesn't have as much popularity and value to it. The uses I can see it is if you buy their minimum pack of 20, you can visually see and can get a feel for how your future stacking will look like. The second use I can see is if you are exchanging metals or items with someone and you need some type of small change to equalize the value, copper can come in as change to fill in the gaps. While there are various sizes of precious metals that can be used as change, copper can give you that second option if you don't want to waste your silver or gold. 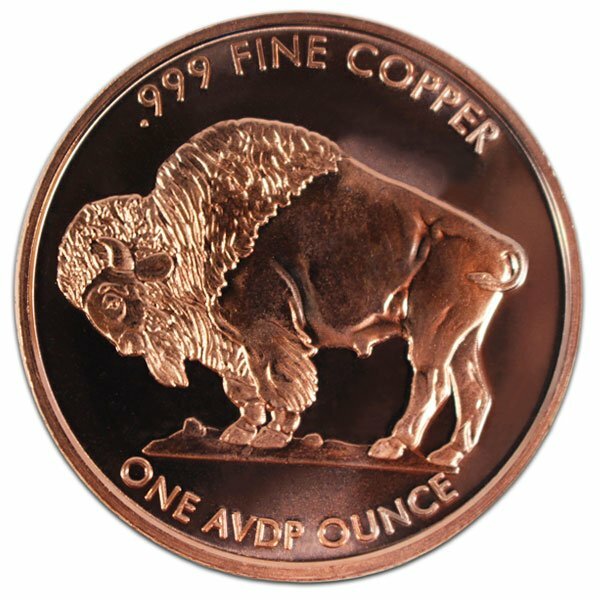 You can now sell your Copper Buffalo Round - 1 AVDP Oz, .999 Pure Copper back to us online, at a price of $0.80 each!